Available NOW! Roots Reggae, Dub and GOOD MUSIC. Download now on iTunes. Listen now on Spotify. Lo-Fi Hip Hop Beats for mind travel, studying and relaxation. Four 20 minute mixes of downtempo and hip hop instrumentals designed for your listening pleasure. Can be used for your sacred movement, yoga practice, head noddin, or simply chillin! Explorers of Infinity (February 28, Nectar Drop Records) is the latest release from Marti Nikko and DJ Drez. This new collection represents another sonic landmark in the evolving collaboration between these two yogis, artists and lovers. Producing a sound both familiar and ever-fresh, Drez and Marti continue to entangle their talents to create anthemic tracks that linger with the listener long after the song is over. As fans of Marti and Drez will expect, Explorers of Infinity dances around the world of music. “Jai Sri Radhe" opens the album with a distinctly hiphop feel, with snappy snare hits and a steady hi-hat underlying Nikko’s soulful mantra variations. “Nataraja” is pure reggae, guaranteed to infect the brain with sattvic mantras whether or not you can accurately pronounce all the Sānskrit. “Bom Bom Shankara" engages a deep, slow dub-style decorated with jazzy saxophone solos. 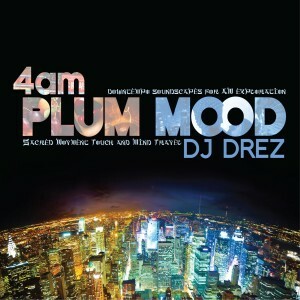 Welcome inside the mind of DJ Drez. Soaring to new heights with his latest solo release, “Alpine Swift,” the Sound Ambassador invites us into his world of sonic seduction and sensuality as never before. Perhaps more personal and intimate than any prior release yet at the same time universally accessible and particularly relevant, the legendary LA-based beat maker and vibe-provider has crafted a slick, head-nodding soundtrack for the human experience. This union of seeming opposites is a thread that Drez brilliantly and effortlessly weaves throughout this musical tapestry as he also comingles old school roots with new school sensibility, etheric moods with boomin’, earthen, bass frequencies, spaciousness with fullness and even mystery and revelation. “Alpine Swift” is incredibly thick with mood and feeling and this sultry, palpable aspect makes the album stand out as an instant electronic classic. In fact, Drez has more than upheld his underground handle Dr. Ez as the good Doc is clearly beyond graduate level in synesthesia - the experience of a sense impression through a mechanism other than the one receiving. The first words on the opening track, “Givin You Somthin,” make a prophetic declaration that might just be Drez’ mission statement - “I feel this sound.” Rare is a musician who can truly feel sound. Peerless may be the one who can transmit that experience to the listener. DJ Drez does just that on the self-released gem dropping on June 6, 2016. Those first words are unique and delightfully foreshadowing as well, in that this album marks the first time ever that Drez steps out from behind the turntables and production side and up to the mic. Whether in sublime sample-like phrases that out-slick today’s dopest electronic and hip hop DJs, hooks that you will find yourself singing long after the record ends, and even poetry and rhyme that is profound, personal and mystical, Drez finding his voice for this monumental release will not only wildly please his long-time legions of fans, but will most definitely earn him countless new admirers and beat-bumpers across many musical genres. 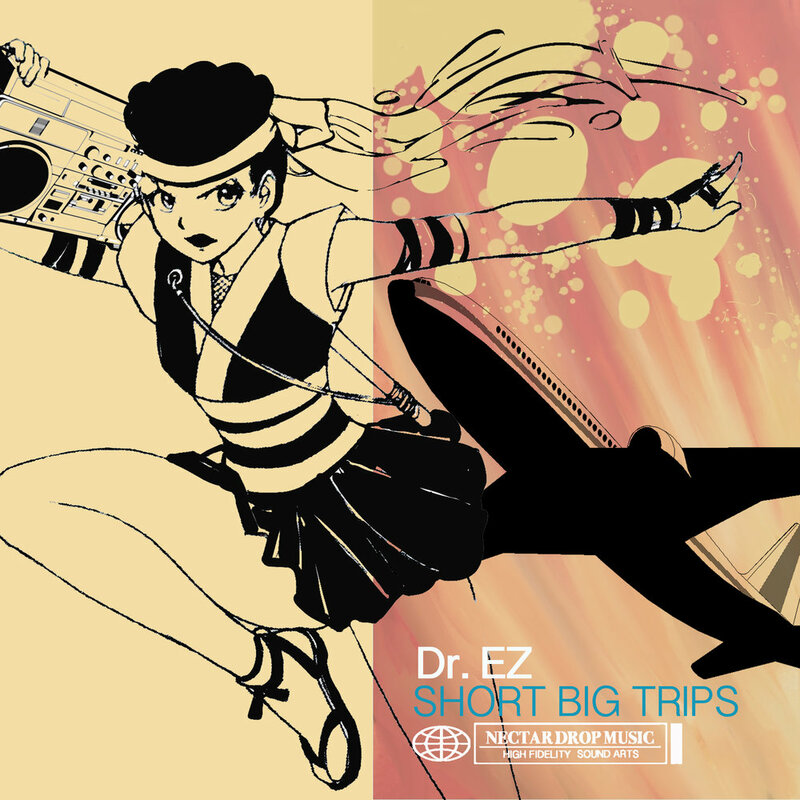 With a clear emphasis on a more downtempo electronic sound, soulful wisdom and feel, a confident straddling of the spiritual and material realms and a wicked 808 presence throughout effortlessly links the other sonic modalities, including some of the most bangin’ hip hop beats to hit the scene in years (title track “Alpine Swift” and “Out There”). In characteristic Drez style, dub stylings, trap sprinklings and Jahta Beat spiciness subtly dance throughout the release as well. No journey into the world of DJ Drez would be complete without the powerful voice and presence of his partner-in-crime, Marti Nikko. While technically a solo release, the addition of Nikko’s vocal flavorings makes “Alpine Swift” deliciously complete. Her nectar-like vocals, highlights and even duets, pose the perfect complement to Drez’ foray into MC’ing, particularly on stand out tracks “Into Space,” “Start,” and “Light Me Up.” Nikko also shines and delivers perhaps the most powerful message of the album on the track “Us,” putting everyone on notice, over a slammin’ electro hip hop beat, that she and Ez are taking over the airwaves. “Ya’ know you heard of us,” echoes knowingly through the sound system. If ya’ don’t know, now ya’ know. DJ Drez’s music has been moving bodies for more than two decades. His sound is an organic blend of mystical hip-hop, reggae roots and Indian raga that has been known to instigate an ecstatic dance party one instant, and soothe a group into a meditative savasana the next. If you’re a fan of Drez, you’ve undoubtedly noticed the mysterious, seductive voice of Marti Nikko gracing dozens of the albums, tracks and remixes he’s released over his prolific career. A longtime collaborator of Dr. EZ (and also, his wife), Nikko steps into the spotlight with her debut album, Dreaming In Sanskrit, from Black Swan Sounds. Featuring the production and turntable expertise of DJ Drez, it definitely bears his funky signature, but the record is undeniably Nikko-centric. Marti’s enticing, fiercely soft voice floats above a diverse collection of musical styles and patterns ranging from dub roots to Indian hymn to Balkan beats and back again, but the unifying thread is a spirit of love and devotion.